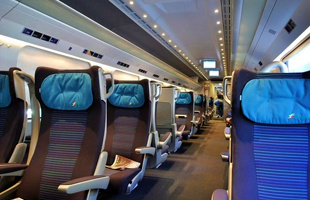 We are the experts for Italy Rail Tickets to the trade and general public. RailTourGuide are authorised booking agents for Italy Rail Tickets and we sell these tickets from our office based in the UK. 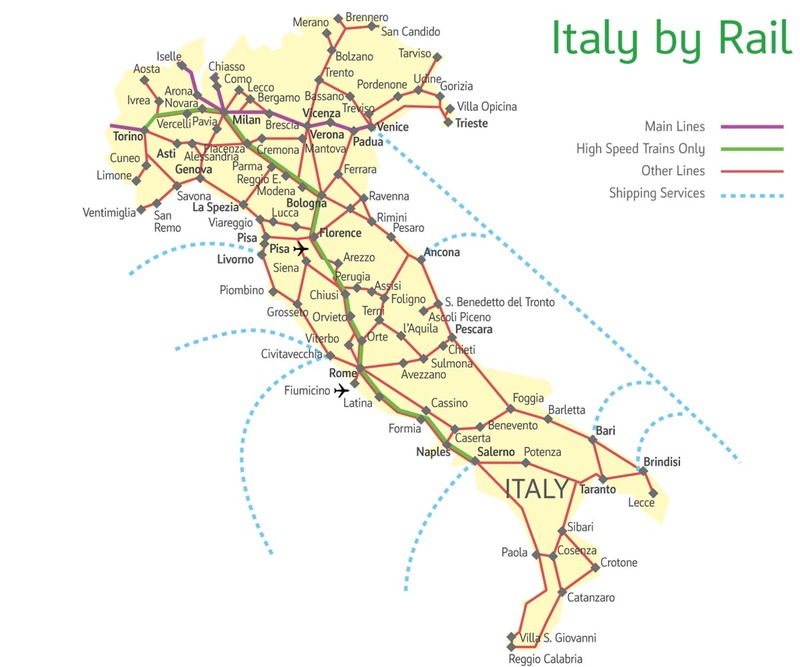 For more information on Italy Rail Tickets please contact us. 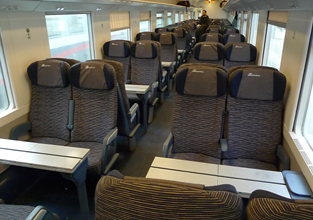 The trains in Italy are modern, comfortable and offer a great way to go from city to city. These trains operate between the key cities of Venice, Florence and the capital Rome and offer high speed connections through stunning scenery. Trains also operate across the border into Austria, France, Germany and Switzerland. *A* These fares are available if you book 4 months in advance of travel, subject to availability. Infants 0 – 4 Years Old Travel Free. Children 4 – 14 Years Old pay 50% of the Adult Fare. Every seat is comfortable with ample legroom and many amenities.